As Recruiters we’re constantly required to fill positions on a regular basis so we require a strong pipeline of Candidates. With that being the case receiving Employee Referrals actually helps us speed up the Recruitment process. For this reason we decided on how best we can improve Employee Referrals. These are some really great ideas portrayed on how to improve Employee Referrals and it’s amazing to learn that some of them are already being implemented. From this discussion we can conclude that the Talent Acquisition Industry is certainly evolving continuously and these conversations bring us all up to date with the changing scenarios in the Industry we share a common interest. This is proof that we are all adapting to these developments and I can surely say we have a lot of Creative Talent Acquisitionists here as a part of the Sourcing Adda family. All the more reason to continue to be a part and be active participants in these Hike Group Chat Discussions because we’re in the midst of creativity i.e. isn’t easy to come by. To know more be sure to follow @SourcingAdda. With everything going online and digital even the Recruitment process will be conducted online with the help of Social Network platforms. The top five most used Social networks are LinkedIn, Facebook, Twitter and Google+ but slowly crawling its way in is Pinterest. Just like popular Social Network sites boast about their user statistics even Pinterest prides itself with its number or users crossing over 12 million and counting. It too is retaining and engaging its users as much as 2 to 3 times as efficiently as Twitter did during its history. Some of the popularity of sites like LinkedIn, Facebook, Twitter and Google+ goes to the credit of Pinterest too. Even the referral traffic diverted to these sites is due to Pinterest’s user base that surpasses that of LinkedIn, Facebook, Twitter and Google+ combined together. 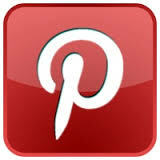 Pinterest being primarily a creative site encourages its users to develop their creativity. This is a point to be noted due to its importance especially in a time where creativity is still shunned by most individuals and is sorted out by employers. Based on this point you can guess the kind and quality of the candidates that Recruiters have access to. This is probably the best place to acquire those hard to find candidates including the job profiles that require creative individuals. With Pinterest anyone can create a board based on their interests and post images on the same. This helps one to build connections and get noticed. Besides, here companies too can create their boards and even post job specs. This too can help speed up the Recruiting process with referrals from users, as they are bound to know people who just might be right for the job and will definitely refer that person for that particular job opening. Just like Twitter has ReTweets, Pinterest has integrated a similar feature i.e. Re- Pins that functions along similar lines. This too can increase the traffic to your post which can then be added to the viewer’s Social Network site. This speeds up your Recruiting Process all the while acquiring Talented individuals for your job specs. What sets Pinterest apart from most Social Networking sites is its linking feature. Above the Pin there is a ‘from’ link, which will link to an outside website. With this feature users can now link everything on their board i.e. the Pins to their website. Aside from this it also shortens all web addresses to just the first part. This too boost’s the Recruitment Process as the created board along with the pins is linked to the main website i.e. if you have intentionally done this. Is this information sufficient to convince you to go ahead and opt for and add Pinterest to your list of effective Recruiting Social Media sites? If so, then why are you still reading this? Hike Group Chat – How to get Work Commitment from Campus Hires? The title in itself explains the issue that was addressed to gain insightful solutions in the popular Hike Group Chat organised by Sourcing Adda. The Wednesday discussion topic that we had was suggested by one of our group members Sainath from South. The topic titled, “How to get Work Commitment from Campus Hires?” was discussed. We are happy to announce that the topic was well received by our members. Here’s what we uncovered during the discussion… The discussion above clears any misconceptions or unclear aspects regarding the topic in question. Hope this information was helpful to you at least it was for me. In the meantime if you liked this discussion then your might find the discussion on what do you do as a Recruiter to Identify Culture Fit Candidates? Quite informative and useful. You can also follow us @SourcingAdda to get regular updates to the same. Hike Group Chat – What do you do as a Recruiter to Identify Culture Fit Candidates? The Discussion topic was brought forth by one of our South Hike Group Chat member Manav who wanted to discuss on, “What do you do as a Recruiter to Identify Culture Fit Candidates?” and here’s what we discovered from our fellow Talent Acquisitionists….. And again we end with another insightful discussion with amazing inputs that are sure to add to your knowledge. And I’m sure you can’t wait for the next discussion to learn and enlighten yourself about the Talent Acquisition Industry that we all so love and enjoy. So don’t miss the next one if you’ve missed this because I can tell you that it’s going to be one heck of a discussion that is sure to surprise you. To get real time updates about our upcoming activities follow @SourcingAdda where you get to interact, learn, refresh yourself for the week ahead and a chance to express your creativity as you enjoy. As a Recruiter you’re constantly in touch with potential candidates and you’re in search of talented candidates. 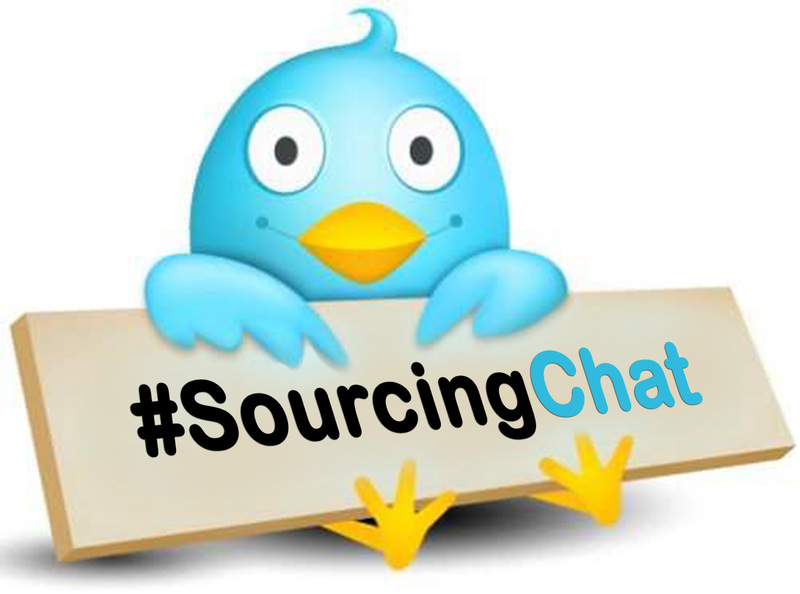 Considering this it becomes important to equip yourself with the knowledge of Content Marketing hence we decided to have a #SourcingChat on Content Marketing for Recruiters. A2 #SourcingChat candidates decide on opp based on info gathered online/ offline. Cntnt mktng plays key role in influencing decisions. There you have it, now don’t you agree that these Tweets were enlightening? I for one can certainly say that I’ve definitely learnt a thing or two and I’m looking forward to more such #SourcingChats as you are bound to learn something new with every discussion that takes place. To be a part of more such #SourcingChats be sure to follow @SourcingAdda to get real time updates to our upcoming activities.